Played the 2007/08 season with Arkadia Traiskirchen (Austria). Moved to Serbia for the 2008-09 season, signed by BC Red Star Belgrade. 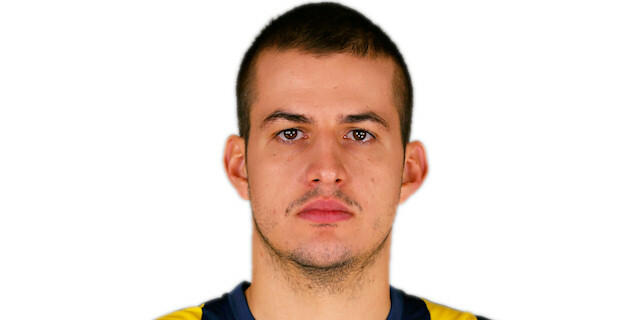 Moved to Turkey for the 2013-14 season, signed by Fenerbahce Ulker Istanbul..he's still playing there. Named the 2014-15 Euroleague March MVP. Named the 2012-13 Euroleague Week-10 MVP. Won the silver medal at the 2009 European Championship. Won the 2013-14 Turkish National Championship with Fenerbahce Ulker Istanbul. Won the 2013 Turkish President Cup with Fenerbahce Ulker Istanbul. .has been member of the Serbia & Montenegro U-18 National Team.